March 1, 2010 0 comments on "How to Grow Hyacinths"
An early spring favorite, hyacinths are a fragrant member of the lily family. 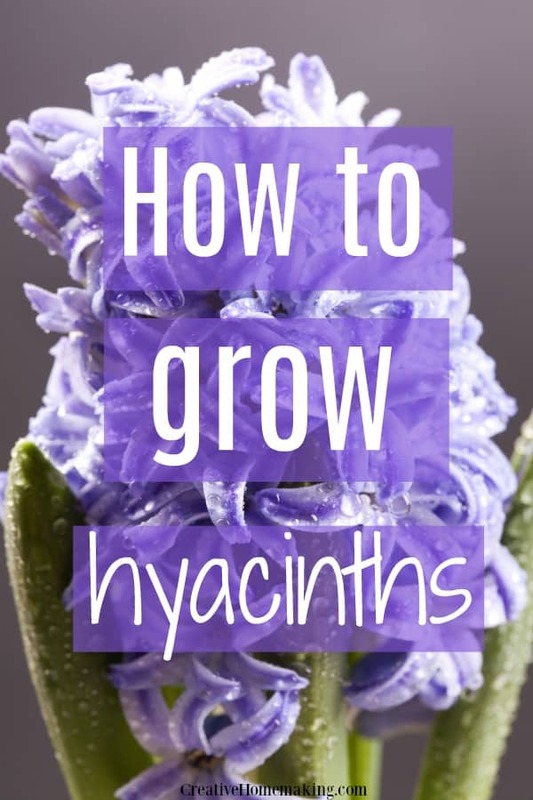 Because hyacinths grow from bulbs, they will return year after year with colorful spring blooms. They are a great addition to any spring flower garden, and grow well along side other spring favorites such as daffodils, tulips, primroses, and pansies. Hyacinths come in a variety of vibrant colors, including yellow, violet, pink, white, and blue. They can be used in mass plantings in flower beds, and as borders. They are beautiful when cut for spring flower arrangements. Hyacinths grow best in well drained soil, in full sun to partial shade. Overwatering can damage to the bulbs. Hyacinth bulbs should be planted in the fall. Plant bulbs in holes 6-8 inches deep. Bulbs should be spaced 4-6 inches apart. At the end of the summer, when older bulbs (several years old or more) are dormant, you can dig them up and separate them to create new bulbs. Older bulbs will usually have several smaller bulbs attached to them. The smaller bulbs can easily be removed and re-planted. Keep in mind it may take several years for the new bulbs to flower. Some experts even suggest dividing them while they are flowering in the spring. 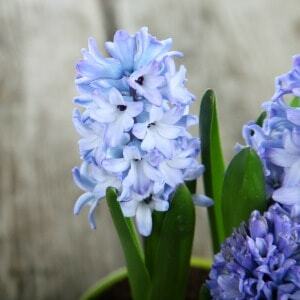 Hyacinths are not fragile and can withstand being dug up and re-planted again without any damage to the bulbs. Follow my Flowers & Gardens board on Pinterest.